Parking is easy! Access parking directly off of County Rd C.
Please note that there is special handicap parking and motorcycle parking. Look for our signs and our friendly volunteers – they will guide you to where you need to go. 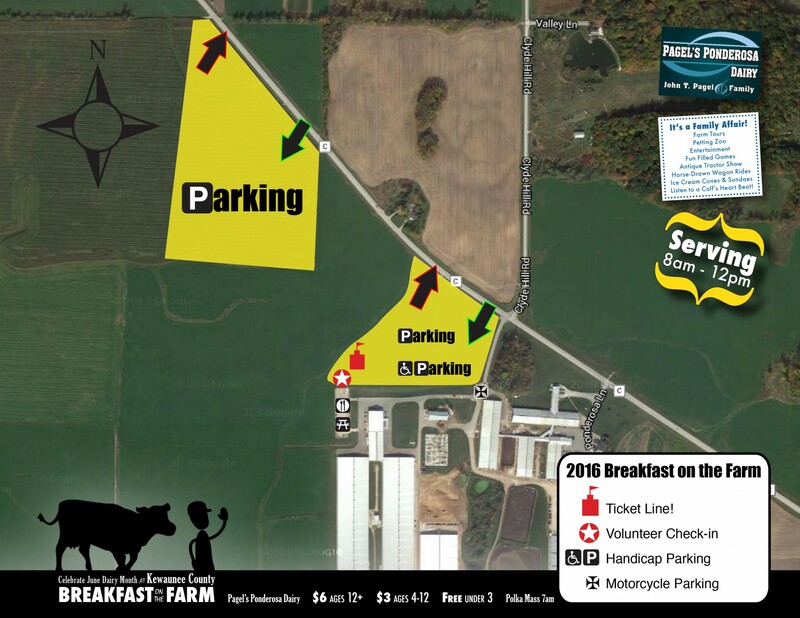 Check out this map for a visual of what you can expect at the 2016 Kewaunee County Breakfast on the Farm on Father’s Day – Sunday, June 19th.